Dr. Abhinav Sinha, is the Director of the Children’s Dental Health Center and is an Assistant Professor of Surgery in the Department of Dentistry, Oral and Maxillofacial Surgery at Weill Cornell Medical College. Dr. Sinha has clinical expertise in all phases of Pediatric Dental Medicine, including special needs patients and complex oral rehabilitation under general anesthesia. He earned his Bachelor of Science degrees in Physiology/Neurobiology and Psychology from the University of Maryland, College Park. Dr. Sinha earned his Doctor of Dental Medicine in 2005 from the University of Pennsylvania School of Dental Medicine, in Philadelphia, PA. He completed his residency in pediatric dental medicine at the Long Island Jewish Medical Center/Schneider Children’s Hospital. 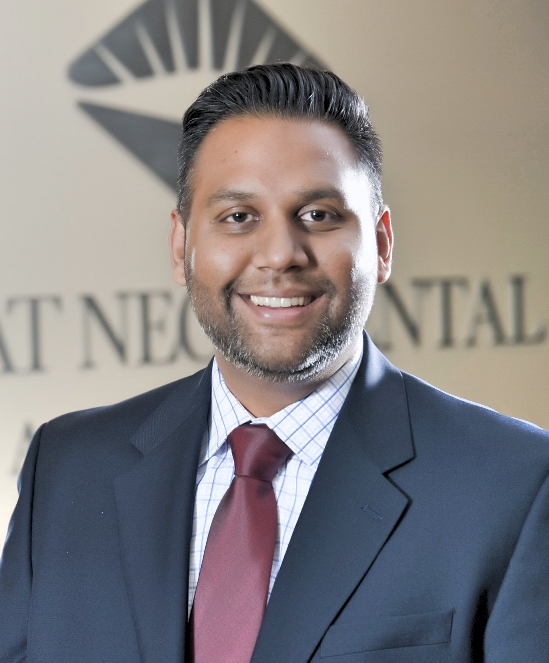 Dr. Sinha is a Board Certified Diplomate of the American Board of Pediatric Dentistry, a member of the American Academy of Pediatric Dentistry, and a member of the American Dental Association. Dr. Sinha lives with his wife and son in New Jersey. When he is not busy sighting dental decay or teaching young dental residents, he can be found happily trying out new restaurants, doing kettlebell workouts, or just hanging out with his wife and son.